Snack smart before you fill your cart: Eating just one piece of fruit prior to grocery shopping could save you from buying high-calorie junk, finds new research from Cornell University. 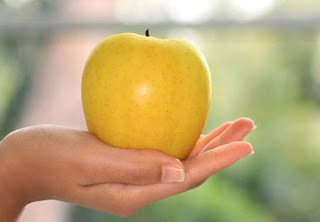 In the study, people who ate apples before they shopped bought 28 percent more produce than consumers who had cookies. They also bought fewer unhealthy items. The explanation is simple: Once you eat a healthy snack, your subconscious continues to steer you in the same direction, says study author Aner Tal, Ph.D.
That’s good news for your waistline: Instead of consciously trying to change your behavior, this kind of priming helps you make healthier choices with basically no effort, he says. So before you hit the aisles, chow down on a wholesome snack. Just make sure you don’t dawdle around after eating—the effects of priming lessen over time, so the trick really only works if you have the snack right before you head to the store, Tal says.